Companies are known to be capitalistic, cold and impersonal entities who’re out there to take your money. However, every now and then they do little gestures, that makes them come across as personal, caring and send warm and fuzzies your way. They also double up as a great exercise in brand building and PR as gestures like these are bound to get shared and talked about. Call them clever marketing hacks or a genuine gestures — some companies are now incorporating these activities into their marketing mix — here’s a few instances when some companies – known or small – made people’s days with their thoughtful acts. 1. 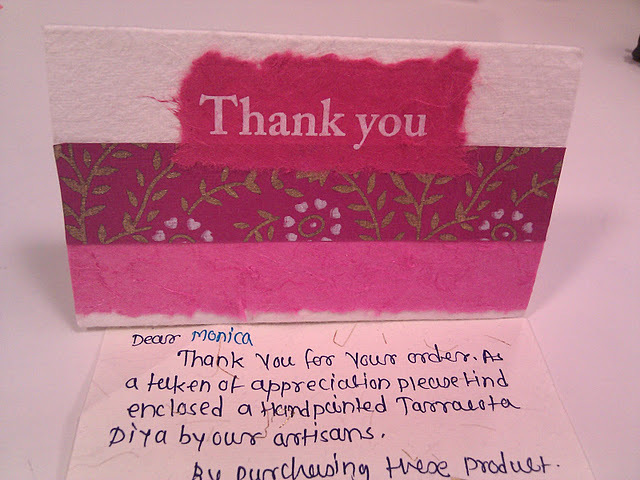 When online arts and crafts website Craftsvilla sent a personalised, hand-written thank you note to this happy shopper. 2. 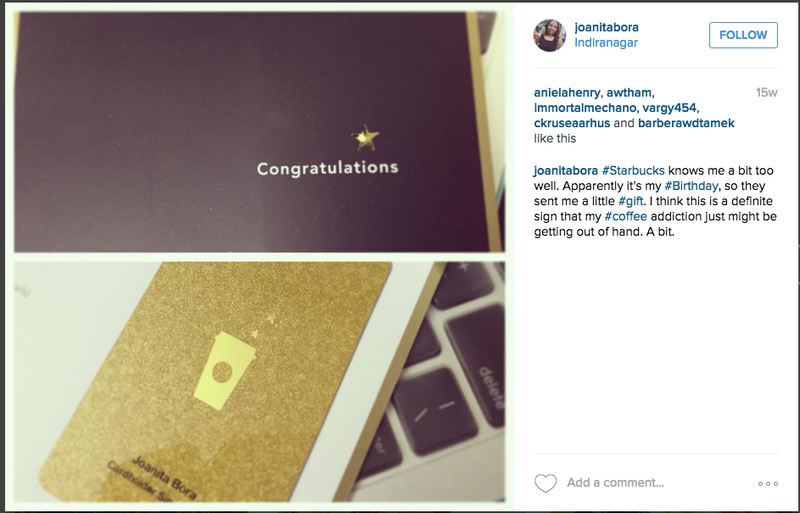 When Starbucks not only remembered (not her) birthday but sent this coffee-lover a shining membership card. 3. 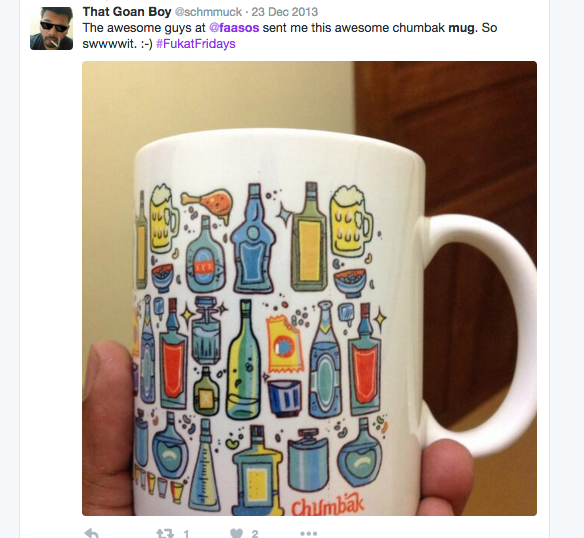 When food-delivery startup Faasos randomly surprised this frequent customer with a coffee mug from Chumbak. 4. When Zomato tried to make up for an order booboo with this sweet apology that makes us wish they screw up more often! 5. When Allen Solly didn’t send one, two, but 6 cupcakes to this person who had a bad case of Monday blues. 6. 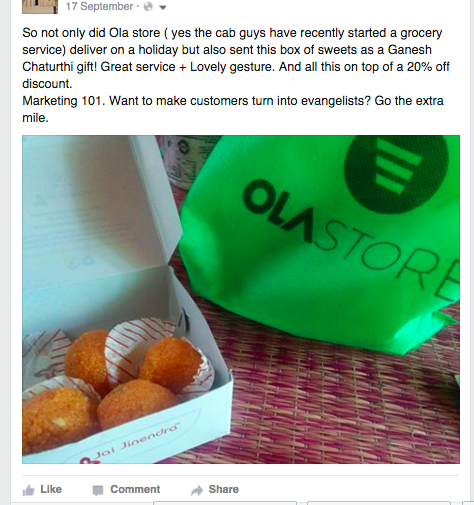 When Ola store (Ola cabs’ grocery business) decided to make a customer’s Diwali extra sweet with this surprise gift. 7. 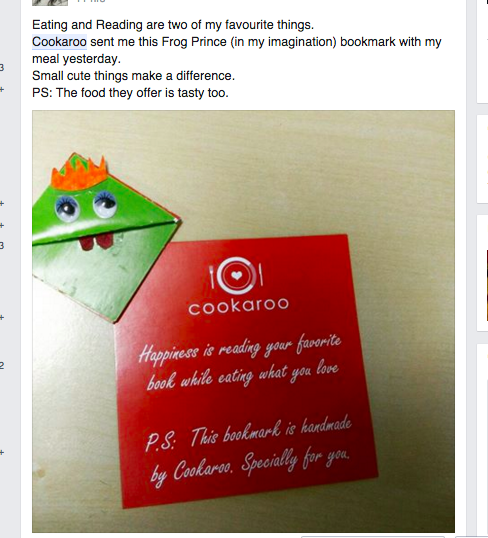 When another food-delivery startup Cookaroo figured out that a customer loved reading and sent them this little thoughtful hand-made gift. 8. When Uber made a customer’s day by randomly upgrading his ride. 9. 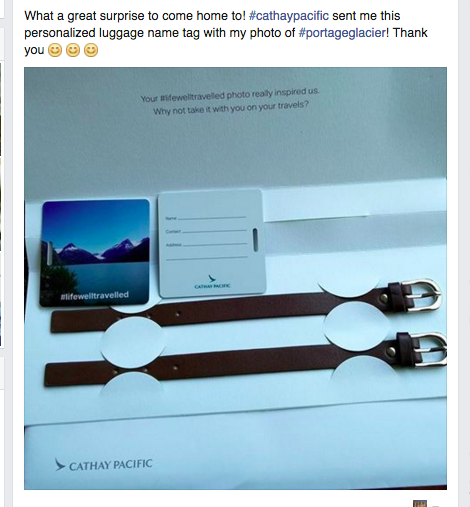 When Cathay pacific made this traveler extra happy by sending him a personalised luggage tag. 10. 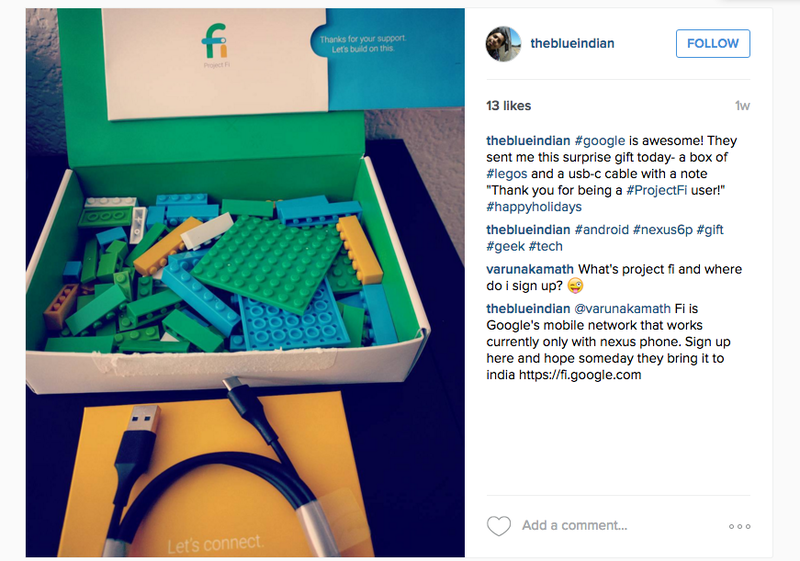 When Google sent an amazing Schwag to this person for being one of the many participants in a Google project.